Republican Gov. Paul LePage secured a second term early Wednesday morning, defeating Democratic U.S. Rep. Mike Michaud after a long, expensive and often bitter campaign. 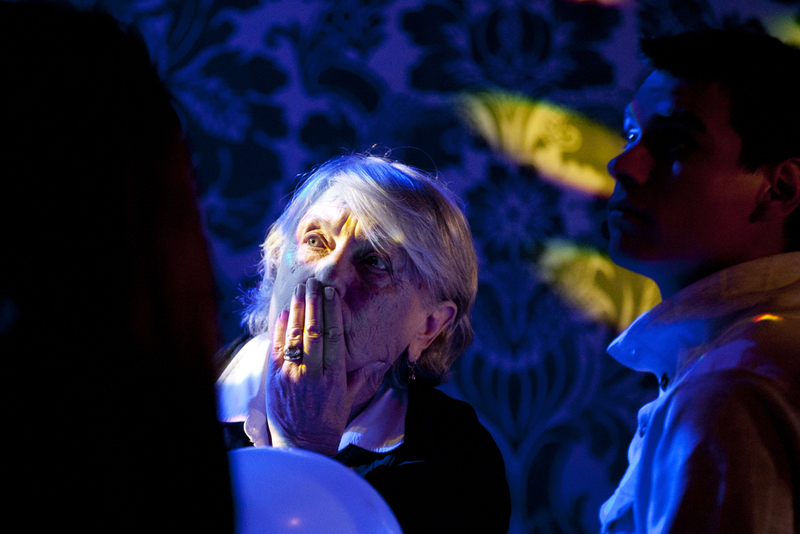 Michaud conceded defeat at 12:30 a.m. in a speech at the Port City Music Hall. 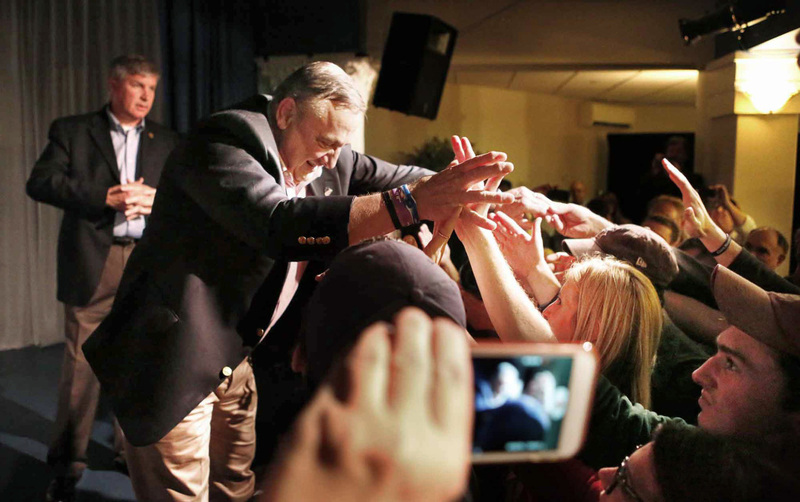 LePage triumphantly took the stage at the Franco American Heritage Center in Lewiston before Michaud finished his speech. Written off by some pundits when the campaign began over a year ago, the governor weathered a full-throated challenged by the Maine Democratic Party, which cleared the field of primary challengers for Michaud while aligned interest groups spent millions boosting his candidacy in the most expensive gubernatorial race in state history. Outside groups poured over $11.5 million into the campaign. The spending by progressive groups was countered by the Republican Governors Association, which made defending LePage’s seat a priority. 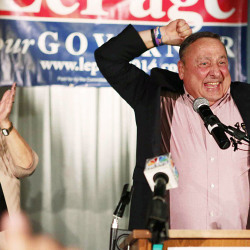 LePage joined several Republican incumbent governors in victory, a number of whom national observers had considered endangered. As of 12:40 a.m., LePage had over 47 percent of the vote and Michaud 44 percent – a margin of 16,665 votes – with 56 percent of precincts tallied in a relatively heavy voter turnout across the state. 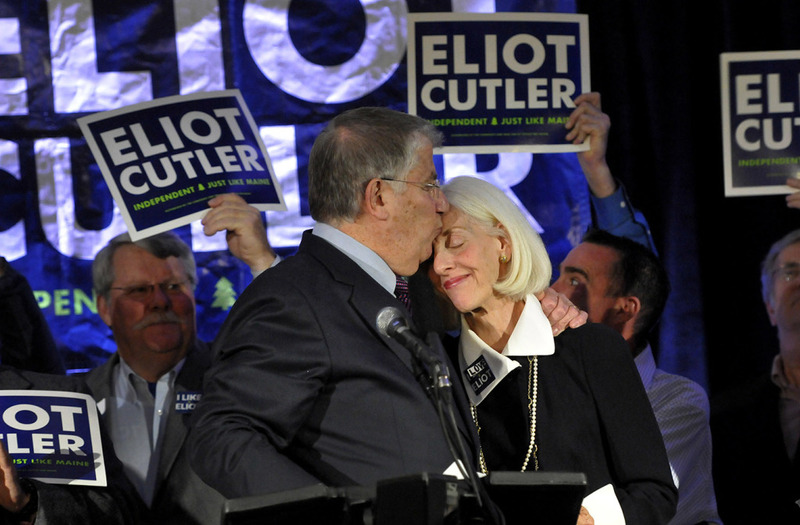 Independent candidate Eliot Cutler, who received 36 percent of the vote four years ago, less than 2 percentage points behind LePage, had 8 percent of the vote. 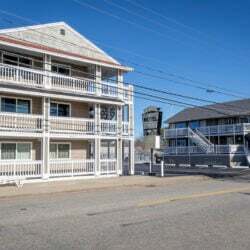 The Cape Elizabeth attorney conceded shortly before 10 p.m.
“Tonight I’m very, very humbled and very proud – very, very proud – because for 50 years plus, I was raised across the street,” said LePage, referring to his childhood home near the Franco American Center. The governor left home at a young age, striking out on his own and fleeing an abusive father. LePage never mentioned Michaud but said he had a newfound respect for Cutler. LePage said Cutler should be the state’s attorney general, a position elected by the state Legislature. Michaud said he was unable to reach LePage before his speech. Recent polls had shown a very close race. However, LePage stayed in front of Michaud late Tuesday evening, maintaining a lead even after Democratic strongholds like Portland and Brunswick went heavily for Michaud. Meanwhile, the governor held his own in traditional Democratic towns, including Saco and Biddeford. 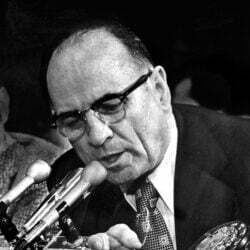 He decisively took Lewiston, his hometown, a city that traditionally leans Democratic. Secretary of State Matt Dunlap said he expected turnout of 55 percent to 60 percent. However, individual precincts were reporting higher turnout levels all day. A statewide turnout above 55 percent would exceed the turnout from the 2010 gubernatorial election, according to data from the United State Elections Project. 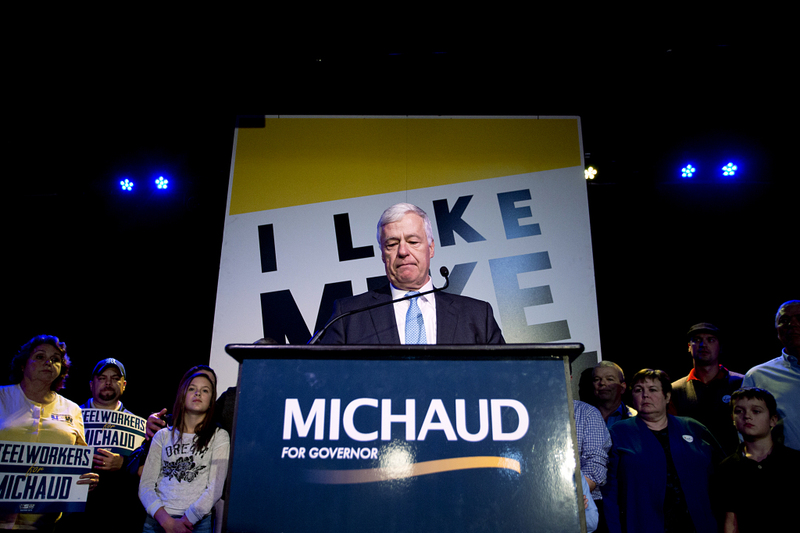 The Maine Democratic Party had been trying to replicate the turnout of a presidential election – about 70 percent in 2012 – to help carry Michaud over the finish line. 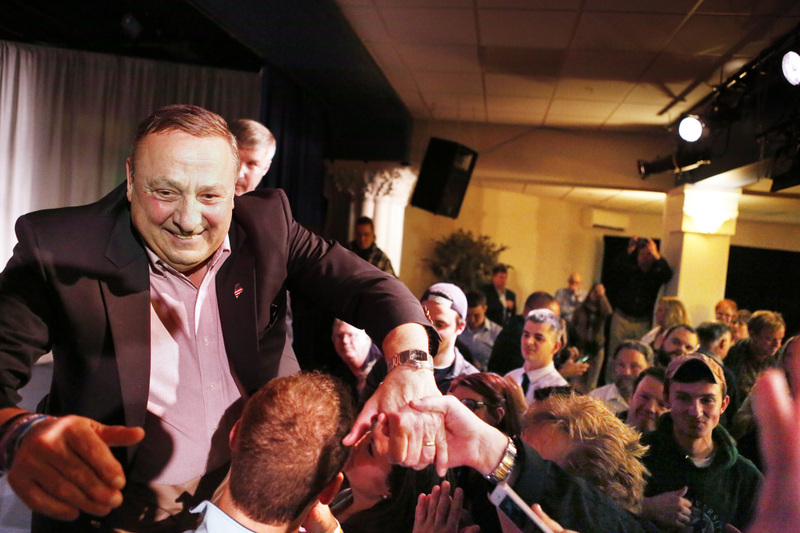 The LePage campaign was confident nearly two hours after the polls closed. Not only was LePage performing as expecting in rural precincts, but he was also holding his own in Democratic strongholds. LePage pulled 29 percent of the vote in Saco in 2010. 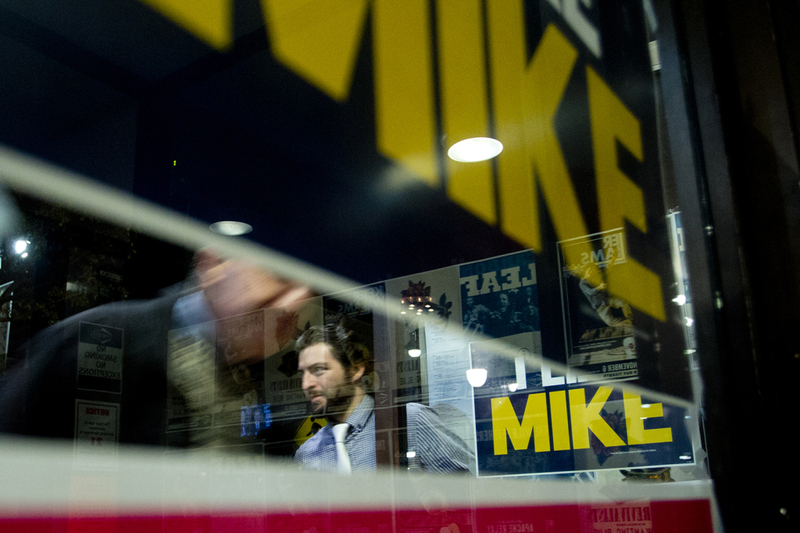 Michaud carried the town Tuesday, but he was only 128 votes ahead of LePage. 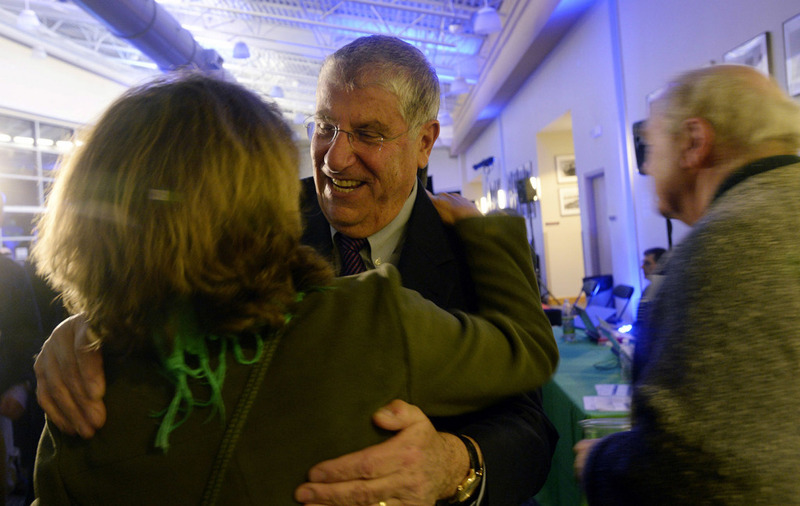 The mood brightened at the Franco American Heritage Center as the results arrived. 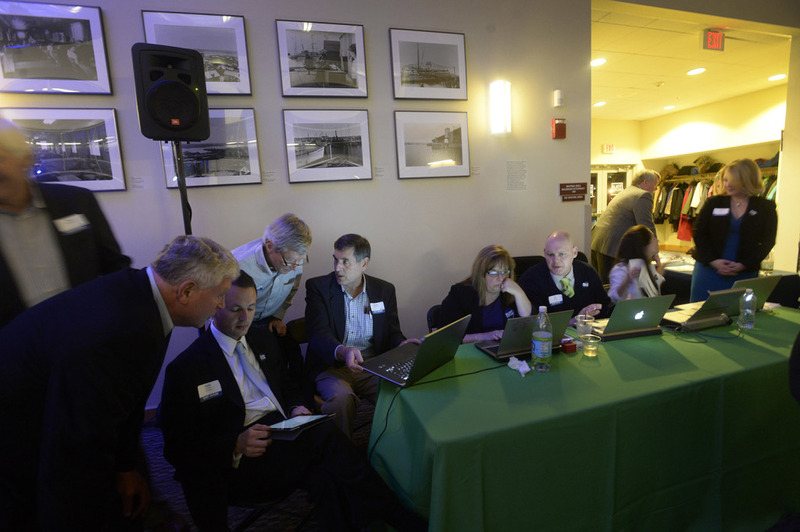 Supporters began pushing closer to the stage after 11:30 p.m., waiting for a final tally in the race and an eventual appearance by the governor. 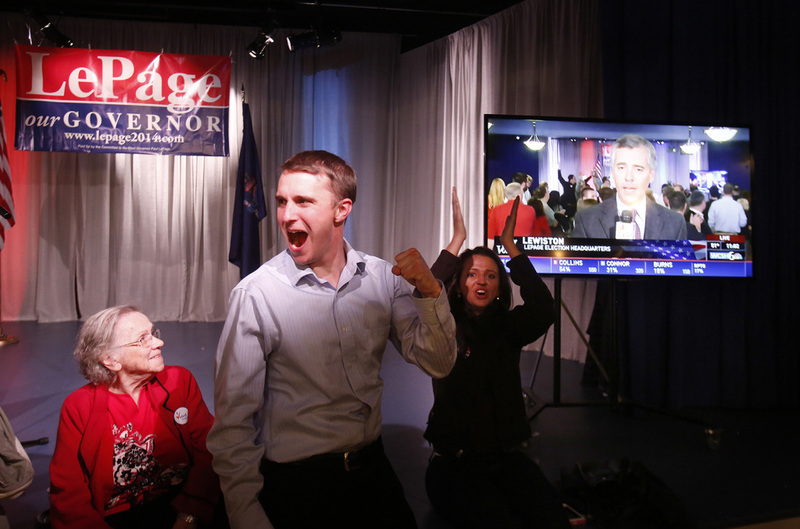 With LePage in the lead, the mood was upbeat, and supporters cheered every time results showed LePage leading Michaud. Campaign staff bustled in and out of a back room, where staffers said LePage was watching results come in with his family. A mood of cautious optimism from campaign staff seemed to move closer to outright celebration. A jubilant cheer went up after the evening’s emcee announced that Republicans had clinched the U.S. Senate—energy perhaps displaced by the waiting for their candidate to appear. Michaud supporters packed into Port City Music Hall in Portland – many expecting a long night and a tight race. 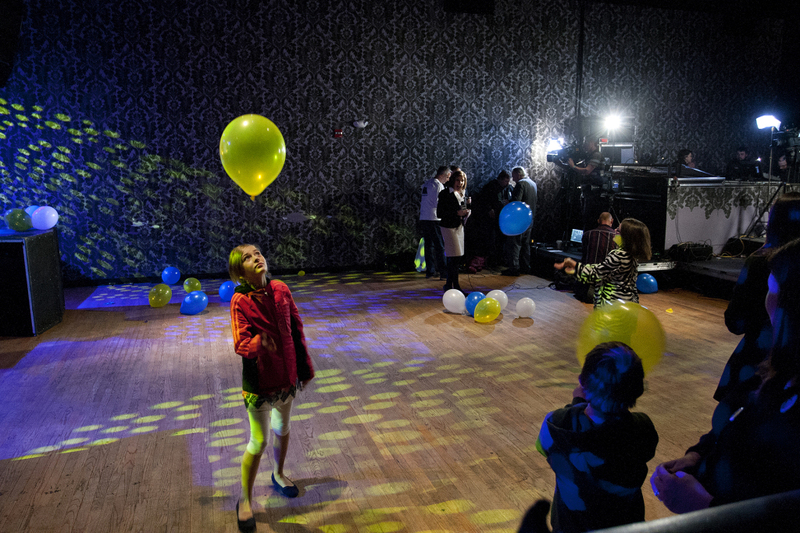 As dance music blared and club lighting bathed the room, supporters stood on the dance floor with eyes glued to phone and television screens, looking for fresh election tallies. 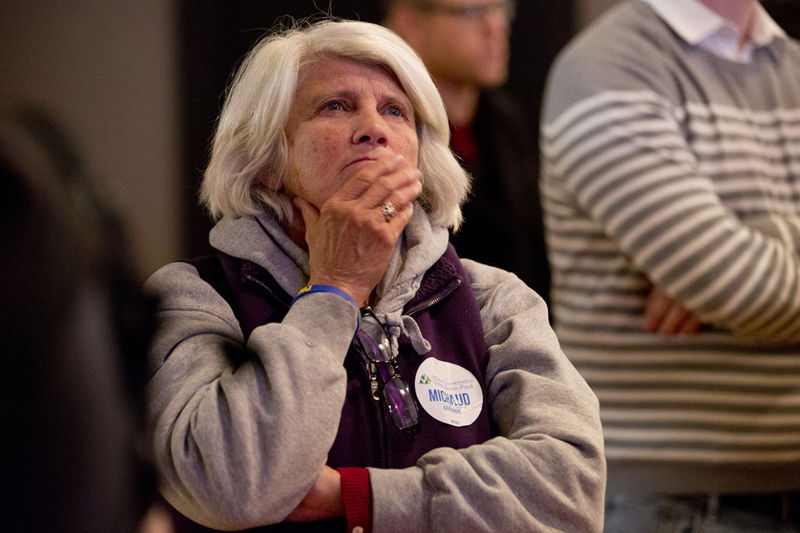 For most it was a roller coaster of emotions, with LePage and Michaud exchanging leads. 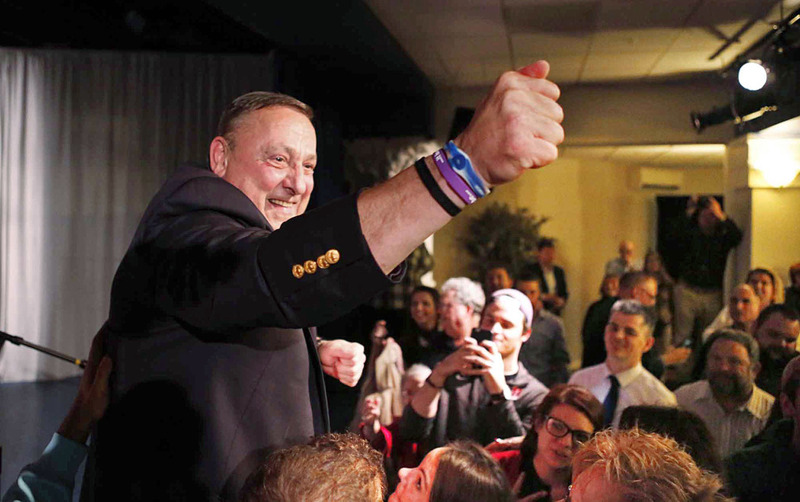 By the time LePage opened up a 13,000 vote lead shortly after 11 p.m., the crowd began to thin. Supporters, who previously ignored Cutler’s concession speech, booed the independent candidate when video clips of him played on a large-screen TV. High turnout in southern Maine was a priority for Democrats. In 2010, nearly half of all ballots cast were in Cumberland and York counties. Independent Eliot Cutler and Democratic candidate Libby Mitchell divided the votes there, 41 percent to 21 percent and 32 percent to 23 percent, respectively. Democrats said support was more unified behind Michaud, who garnered support from a coalition of interest groups early in his candidacy. Meanwhile, Republicans said that the race would be decided by Maine’s rural towns, much as it was when LePage won in 2010. Cutler’s support sunk in recent weeks, prompting the Cape Elizabeth attorney to announce last week that he was a long shot in the race. Cutler’s announcement was quickly followed by a statement from independent U.S. Sen. Angus King that he was endorsing Michaud. King, whose backing is often sought by candidates seeking an advantage with Maine’s largest voting block, unenrolled voters, had endorsed Cutler in August. He also endorsed Cutler in 2010, just days before the election. Despite last week’s headlines, and Cutler’s declining support, the race has remained a dead heat. Most polls showed LePage and Michaud swapping small but statistically insignificant leads, including June and September polls commissioned by the Portland Press Herald/Maine Sunday Telegram. The most recent Press Herald poll taken during the televised debates had given the governor a 10-point lead, but subsequent polls showed a contest too close to call. The deadlock persisted despite more than $11.5 million in spending on political ads by outside interest groups. The spending reflected the national profile of the race, and an increased focus by such groups on state elections at a time of gridlock in Congress. The Maine race attracted additional interest from the national media. Some of the attention centered on Michaud’s historic campaign. 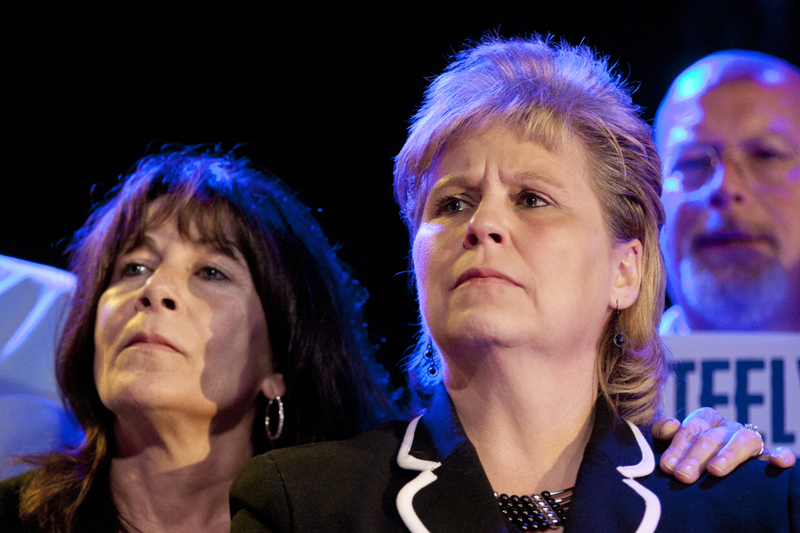 The six-term congressman could become the first openly gay governor elected in the country. A year ago on Election Day, Michaud’s campaign announced his sexual orientation in a newspaper column. His campaign attributed the timing of the announcement to ongoing “whisper campaigns” by opponents. The announcement buoyed Michaud’s candidacy. He drew support and campaign contributions from national gay advocacy groups, even as the campaign sought to push his sexual orientation and legislative record on gay rights legislation to the background of the race. Chuck Wolfe, president and CEO of the Victory Fund, told the Press Herald Tuesday that the The Gay & Lesbian Victory Fund political action committee bundled between $80,000 and $100,000 for Michaud’s campaign, which was the Washington-D.C.-based group’s top priority during the 2014 election cycle, far exceeding its goal of $50,000. The Victory Fund endorsed 166 candidates at all levels of government – from city councils to governors – focusing on areas where races were close and the LGBT community was under-represented. Wolfe said fundraising efforts were aided by a story in Politico magazine which claimed that major LGBT donors were passing on Michaud’s potentially historic election. In addition to bundling, Victory Fund staff have been in Maine since Thursday helping the campaign, including knocking on doors in Sanford in the rain and snow on Saturday, Sunday and Monday. LePage, generally adversarial to the media, and newspapers in particular, has also been a magnet for national attention. The governor’s first term has been marked by a steady stream of impolitic comments that landed him in the national news and on satirical comedy programs like Jon Stewart’s The Daily Show. LePage’s reelection committee acknowledged his reputation when it formalized his reelection bid more than a year ago, trumpeting the slogan “actions speak louder than words.” The governor has been self-deprecating, as well, joking during a recent debate that many of his controversial comments came during his first two years in office. 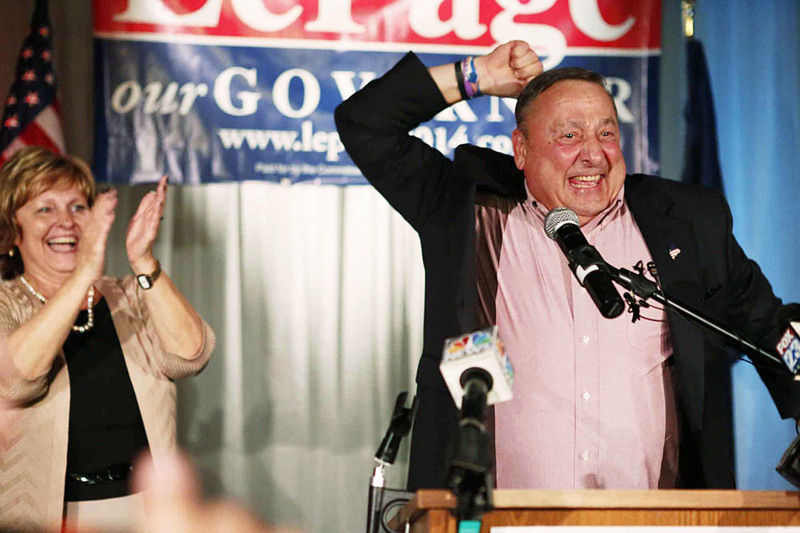 LePage pushed policy initiatives designed to solidify his base and attract undecided voters. Among them were welfare reform and immigration, hot-button issues that tend to polarize voters and obscure the complexity of solutions. However, the results Tuesday showed that the governor’s message resonated with many Mainers. The governor has also been able to raise his public profile by capitalizing on controversial events, including domestic violence in the National Football League and, more recently, the arrival of a nurse in Fort Kent who had treated people stricken with the dreaded Ebola virus. LePage’s reputation was central to the Democrats’ attempt to defeat him as the party and aligned groups labeled him a “national embarrassment.” Michaud rolled out an assortment of policy initiatives, however, his campaign and that of the interest groups that support him has been focused on making the election a referendum on LePage’s first term. Polls have shown that LePage is the most well known of the three candidates, the most polarizing and the least liked. The question for Democrats, however, was if the anti-LePage sentiment was widespread enough for a plurality of voters to oust him. 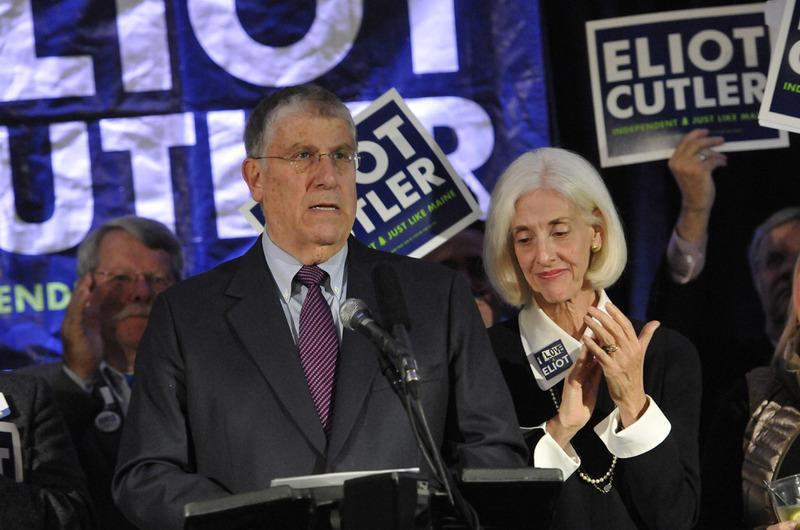 The question became more acute in the closing weeks of the campaign, as Cutler’s support eroded. Cutler’s announcement and King’s jump to Michaud last week ruffled the surface of the race, but its deeper impact, if any, remains to be seen. John Chapin, an Oakland resident who works as a case manager for the State Department of Health and Human Services, said Tuesday that he voted for LePage. When LePage was first elected, he said, he upset many state workers with his controversial statements. Since then, LePage has made fewer verbal gaffs. Now that state workers have figured out how to work under LePage, he said, he’d like to keep the “status quo” rather than put the state agencies through another big change. 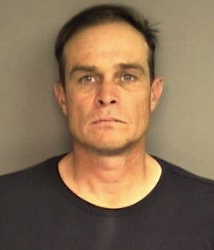 He also described himself as a conservative who usually votes Republican, and he likes some of LePage’s policies, such as welfare reform. 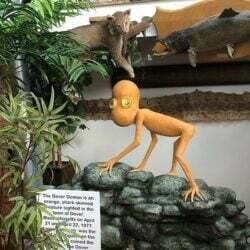 “I like more of what he has done than has come out of his mouth,” he said. Brad Rancourt, 32, a sales manager from Oakland, said Tuesday that he believes LePage will probably win, so voting for Michaud wouldn’t really matter. That’s why he felt free to vote for his first choice, Cutler. He voted for Cutler four years ago. 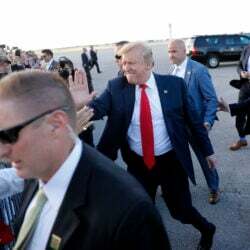 Democrats and Republicans both said the race is a dead heat, a declaration calculated to motivate supporters in both parties to turn out at the polls. 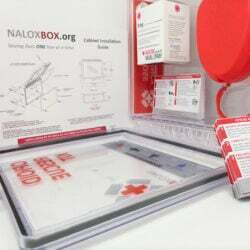 Democrats, facing a built-in disadvantage in the mid-term election and the declining popularity of President Obama, invested heavily in a sophisticated voter mobilization operation. Ben Grant, chairman of the Maine Democratic Party, said the effort was designed to replicate the voter turnout in a presidential election. Willette said that Maine’s 2nd Congressional District will play a pivotal role for the governor’s re-election chances, where voters in the heavily rural district are expected to be motivated to the polls by a ballot question about banning most bear hunting practices in the state. 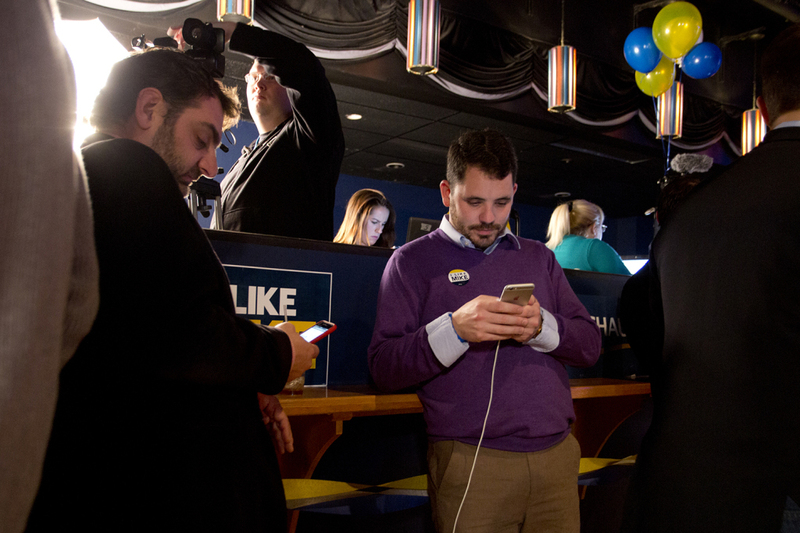 “Our get-out-the-vote team has made thousands and thousands of calls today,” he said. Supporters of Cutler’s campaign gathered at Ocean Gateway overlooking the Portland waterfront. Cutler closed his remarks by saying he was glad to see a petition drive for ranked choice voting, something that likely would have helped him. He also took a parting shot at U.S. Sen. Angus King, who last week switched his support from Cutler to Michaud. “One person said a vote for me would merely be a protest vote,” Cutler said, referring to King’s comments on Monday. “No, senator, you were wrong. Staff writers Randy Billings, Tom Bell and Eric Russell contributed to this story.